HORSES! CRAFTS! PLAYING! GETTING DIRTY! SOUNDS LIKE FUN TO ME! LIMITED TO 10 CHILDREN. SO CONTACT ME AS SOON AS POSSIBLE! Please contact Nicole Junkin at victoriousgrace1118@gmail.com or 205-902-0488. 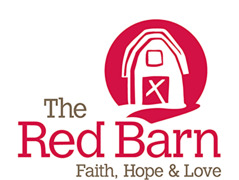 The Red Barn is a not for profit organization. The 'price' for this event is a donation of some sort. That could be money, a case a water, homemade cookies for the volunteers, toilet paper, etc. The list goes on and on. I think you get the idea. Please bring a nice donation PER FAMILY as your payment for this great experience for you and your kids. PLEASE NOTE: The parent MUST fill out the REGISTRATION AND RELEASE FORM FOR EACH CHILD . It is on the link below and can be emailed or faxed.